Hey everyone! It’s Amanda from Old House to New Home and I am so glad to be back here again this month with a new recipe, a delicious Pierogi Casserole! It’s that time of the year again when many people change their diets according to their religious backgrounds. In my neck of the woods, people flock to Fish Fry’s every Friday sponsored by local churches and organizations. These are so fun and the proceeds are for a good cause, so we always enjoy them! But, with kids and our busy schedules, sometimes eating at home is just easier, I think many people struggle with coming up with meatless ideas every week. Even if you aren’t observing Lent, it is nice to serve your family meatless meals every so often! They are cheaper and usually so easy to get on the table! 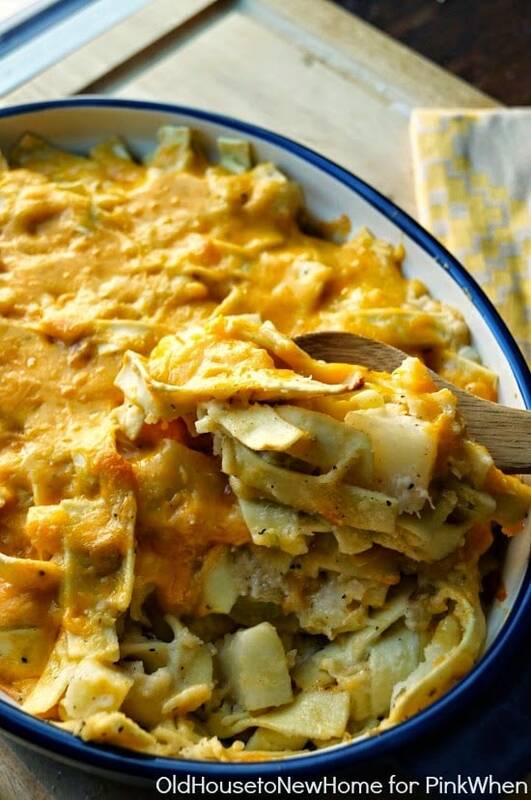 The Meatless Monday movement has become really popular and this Pierogi Casserole would be the perfect dinner to serve! I think most people are familiar with the ethnic dish Pierogi, but in case you aren’t, it is a pasta filled traditionally filled with potato and cheese. They are delicious sauteed in butter and onions! Homemade pierogi are definitely the best, but they are very time-consuming. This casserole gives you all the taste of pierogi, but without all the work of rolling out the dough and stuffing it! There are a few different steps involved with this dish, but you can purchase the microwaveable steam and mash potatoes to save yourself some time and a dirty pot! This dish is great as a main course, but can also be served alongside fish, pork chops, or chicken. It is definitely filling enough to stand alone though! I hope you try this next time you are looking for a meatless meal for your family! It is easy and cheesy! What more could you ask for?! 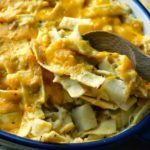 How do I make a Pierogi Casserole? 1. Preheat oven to 375 degrees. Spray a large 2 large casserole dish with cooking spray. 2. Three separate items need to be cooked. You can cook them all at once to avoid having one set aside for too long. (Prepare your potatoes and set aside) Meanwhile, boil your noodles but reduce cooking time by 4 minutes to avoid overcooking. Drain and set aside. Prepare your onions by cooking in the 4 tbsp. of butter over medium heat until tender. 3. Add milk, 1 cup of cheese, salt and pepper, and onion mixture to your potatoes. Mash using a large wooden spoon or a hand held potato masher. Mash until soft, but some chunks remain. You don’t want a completely smooth texture. 4. Add in your noodles and toss to coat. Taste for seasoning and add more if necessary. If mixture seems dry, add more milk and butter until the entire mixture is lightly coated. Place in casserole dish. Sprinkle with the remaining 1/2 cup of cheese. 5. Bake in your preheated oven for 25 minutes or until cheese starts to bubble. Serve immediately and enjoy! 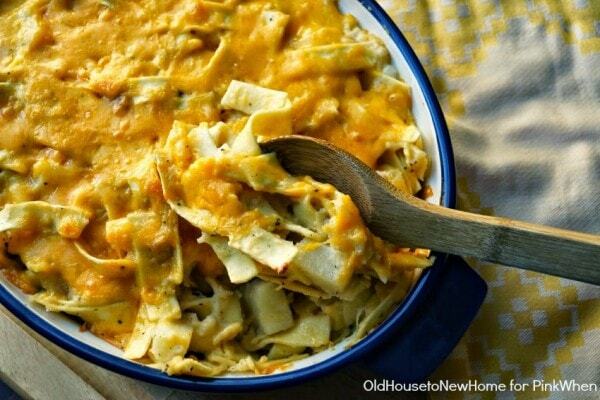 Make sure to print out this delicious Pierogi Casserole and give it a try! You might also like this Instant Pot Mashed Potatoes Recipe or this chicken noodle casserole. 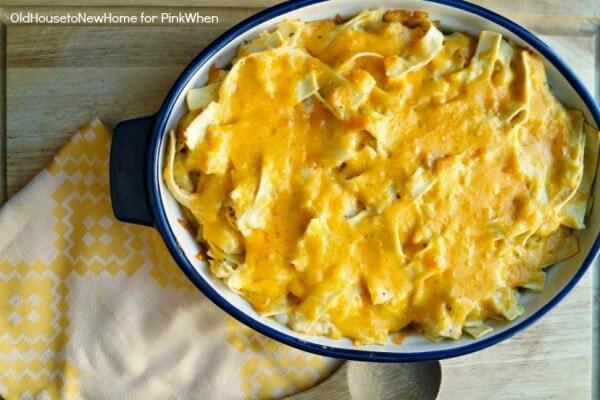 A great side dish or main course, this Pierogi Casserole Recipe is an easy weeknight recipe. 1 lb. extra wide egg noodles The flat ones, not curly! Preheat oven to 375 degrees. Spray a large 2 large casserole dish with cooking spray. Three separate items need cooked. You can cook them all at once to avoid having one sit aside for too long. (Prepare your potatoes and set aside) Meanwhile, boil your noodles but reduce cooking time by 4 minutes to avoid overcooking. Drain and set aside. Prepare your onions by cooking in the 4 tbsp. of butter over medium heat until tender. Add milk, 1 cup of cheese, salt and pepper, and onion mixture to your potatoes. Mash using a large wooden spoon or a hand held potato masher. Mash until soft, but some chunks remain. You don't want a completely smooth texture. Add in your noodles and toss to coat. Taste for seasoning and add more if necessary. If mixture seems dry, add more milk and butter until the entire mixture is lightly coated. Place in casserole dish. Sprinkle with the remaining 1/2 cup of cheese. Bake in your preheated oven for 25 minutes or until cheese starts to bubble. Serve immediately and enjoy! « What are the benefits of using essential oils? My husband LOVES pierogies; I’ve never been brave enough to attempt to prepare them myself and the freezer ones just have way too many foriegn ingredients for our family. This looks like a perfect alternative with ingredients we all can eat! Thanks for posting! 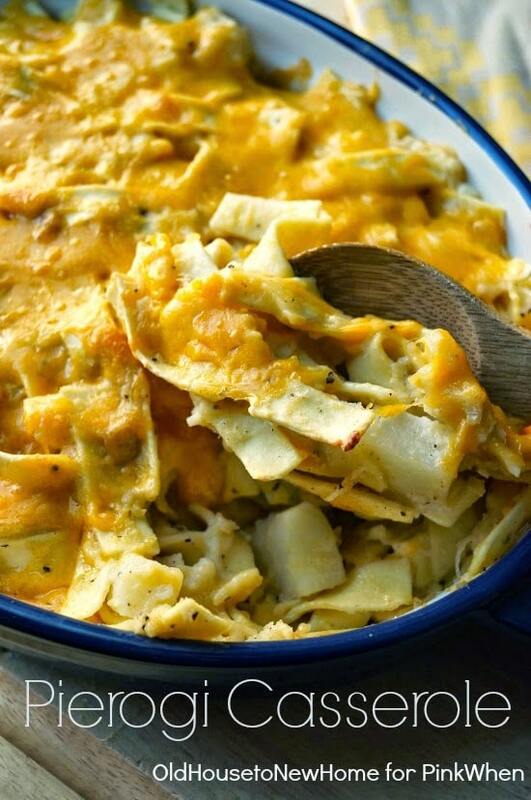 I love Pierogis and this casserole sounds so yummy! Thank you so much for sharing the recipe on the Inspire Me Mondays Link-Up! Have a great weekend!